MIN Requirements for AXX BWA K04 conversion custom R-Tech remap session. Full re calibration of map sensors and rail pressure sensors. R-Tech AXX BWA Ko4 tuning will tend to see around 1.5 – 1.7bar boost ranges depending on the exact hardware setup. All maps will be carried out in house on our Bosch Rolling Road dyno a typical stage 2+ custom map will take around 3 hours. All R-Tech customer will get a life time of ownership support – free diagnostics and logging sessions post tuning. For Bookings please call 01455 617233 or use the contact form from the tab above. 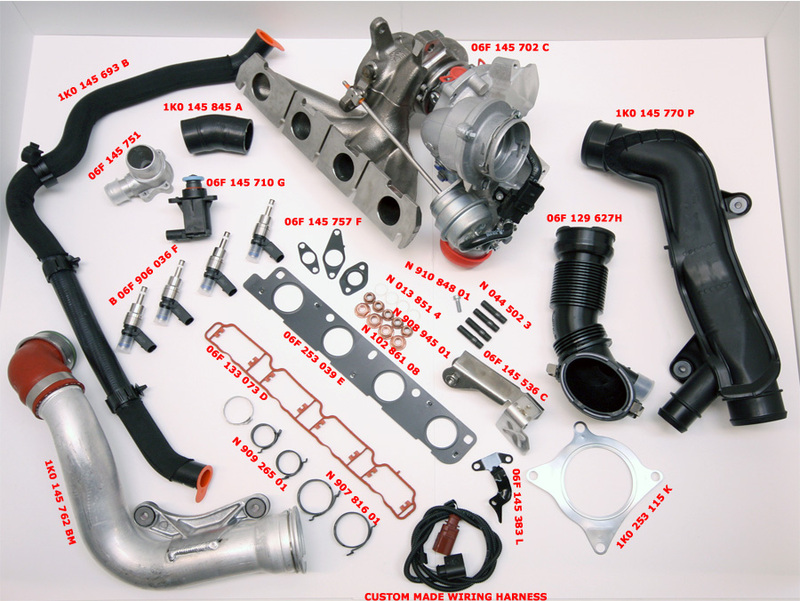 You current engine code will be an AXX or BWA the biggest difference with these engines are the compression ratios compared to a factory k04 engine found on the 8p S3 Golf Mk6 R Golf Mk5 Edition 30 Cupra K1 ect.. All the factory k04 engines use a compression ratio of 9.8:1, the AXX is 10.5:1 and the BWA 10.3:1. 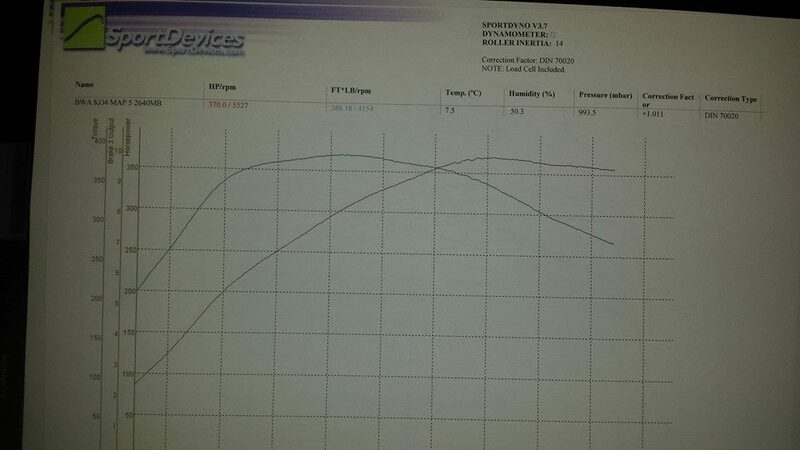 There are pros and cons to having a higher compression on a k04 setup, on a higher compression engine the car will feel much more responsive and spool the turbo much faster compared to a 9.8:1 engine, the engine can make more efficient power at lower boost levels. The down fall is knock/pinking when trying to run elevated boost so the whole package need to be flowing the best it can to gain the head line numbers. You may end up with lower “peak” numbers compared to a stage 2+ factory k04 car, but you could end up with much more average power under the hp/torque curves and be quicker of the mark and getting up to full power. 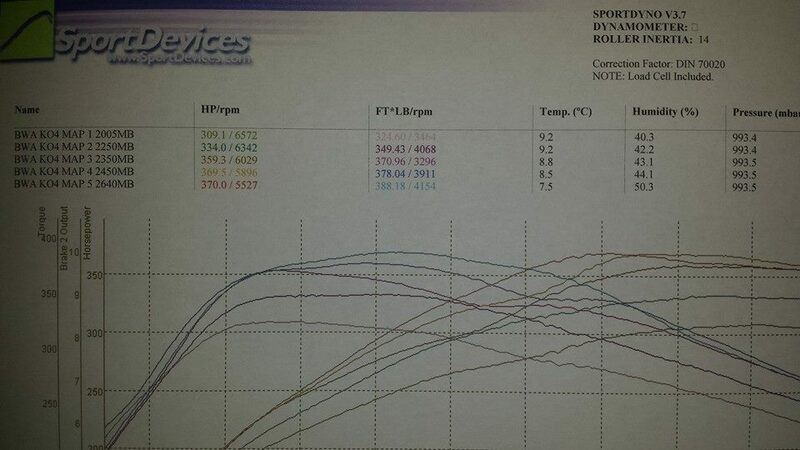 Below is a dyno plot from a recent custom rolling road mapping session on a 2006 Mk5 Golf GTi BWA manual. This setup ran number of 370hp 388lbft, it was a very good flowing setup which we think could have gone onto 400lbft 380hp is it was running an upgraded lower pressure fuel pump from a TTRS. The average number we tend to see are 355-365hp. The graph below show the same custom tuned software running back to back the five map switching options. Lowest power setting on this car is 309hp but all these maps can be set to how you want them….. ie Wife mode map 1 250hp 250lbft… winter map 2 linear to 350hp with torque like a Honda…ect.. map 5 will always be the max final hp numbers.